A black and white negative of the interior of a funeral home in Whitby, Ontario. In this view there is a open casket angled between two windows. 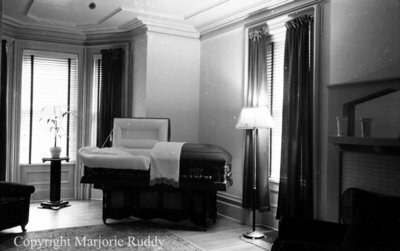 Interior of Funeral Home, c.1938, Marjorie Ruddy. Whitby Archives A2013_040_876A.